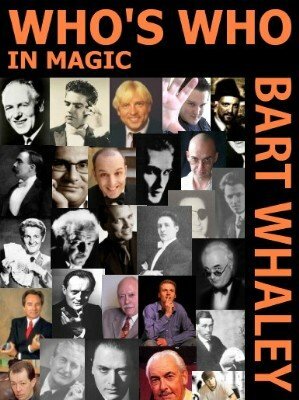 This biographical guide lists over 5,500 men and women associated with the art of conjuring from earliest recorded times to the present: performers, inventors, writers, teachers, dealers, manufacturers, publishers, collectors, historians, and showmen of magic. Several are included from the so-called allied arts of magic. Thus it gives those whose deceptions or careers directly influenced magicians, such as pseudo-psychics and card sharps; and those who share many deceptive methods with magicians, such as escapologists, mentalists, and stage pickpockets and hypnotists. Ventriloquists, although masters of misdirection, are (with few exceptions) included only if they were also magicians. Even Houdini's trained escape-artist dog, Bobby, gets an entry. The focus is on all who were popular professionals (internationally, in their own countries, or regionally), amateur magicians' magicians, or otherwise influential in magic. As such, this ebook has more than four times the number of biographical entries as the next most nearly comprehensive magical reference book, Stenman's admirable Swedish-language encyclopedia published four decades ago. The present work, although a useful reference in itself, is particularly designed as a companion and cross-reference to Bart's The Encyclopedic Dictionary of Magic . Only personal and career highlights are given, although many of these can be found enlarged upon in the appendices. For example, when a person's clubs, awards, venues, or film or magazine appearances are named, fuller information usually may be found in the appropriate appendix. For further details and anecdotes, Bart has indicated at the end of each entry the main references by abbreviation or acronym, each keyed to the Bibliography. These are supplementary references and are neither necessarily nor even usually his only sources. Each entry gives, when known, the following information: full name, stage or pen name, place and country of birth, dates of birth and death (or, when not available, dates that they "flourished", that is, the decades in which they are known to have performed or published), when and who or what inspired them to take up magic, when and how they learned, their public debut, status in magic (pro, semi-pro, or amateur and, if not pro, their non-magical occupation given), specialties, which countries or major venues they played, major awards, their inventions, the fact that they have authored books or booklets or articles on magic, and any published memoirs, autobiographies, or biographies. Additionally, the entries report surviving cinema-film, video-tape, and audio-tape records of their performances or lectures. This who's who is not a directory and therefore no contact information for the various people, companies and organizations is given. However, for a one-time fee individuals ($25), organizations ($100) and businesses ($100) can have their contact information listed as part of their entry in the ebook. Customers of this ebook will receive updates free of charge. One can therefore better characterize this product as a life-time subscription to an ever improving and expanding Who's Who in magic. 3rd edition 2015; 849 pages. Great book and resource of magicians.